L’Ancêtre, the local and organic cheese factory in Quebec. For a better world. At Solo Communications, we re-designed their website. A new foodie lover style, for a clear and appealing look. 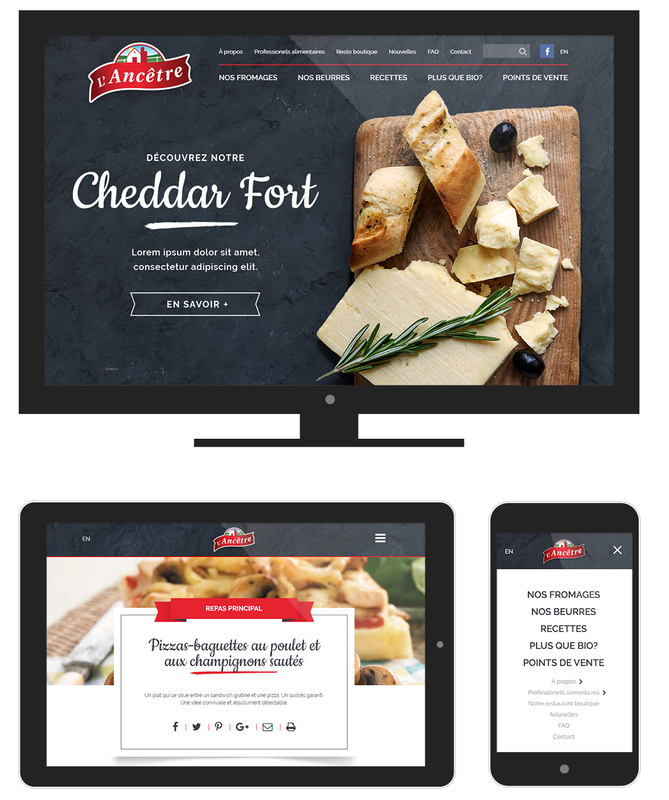 A trendy responsive website to promote local and organic, evrery cheese lover will want to taste.